Start building + Get the OUTATIME License plate for FREE! Issue 1 and issue 2 parts and magazine. Plus license plate. By subscribing today, you will receive the first two issues to begin your DeLorean Build for FREE (+ only $1.99 shipping and handling). 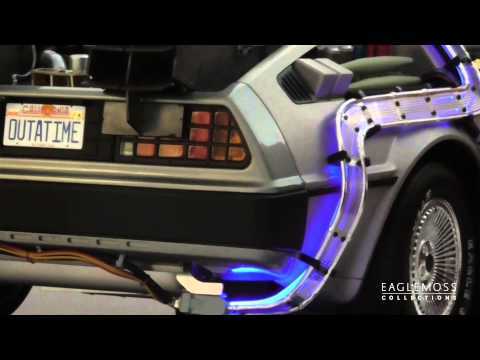 You will also get the OUTATIME license plate replica for free. I am over 18 and I have read, understand and agree to the terms of the subscription offer. Cancel your subscription at any time by calling customer service. There are no commitments or minimums. All the components of your favorite die-cast model precisely positioned on one single poster. Hang this awesome poster up in your workshop as a reference guide for your build-up! 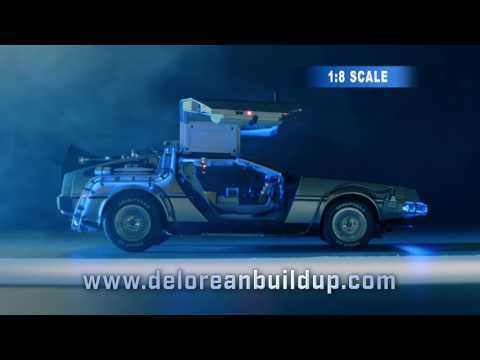 Subscribe risk free to start building your DeLorean for FREE + $1.99 shipping. Order today and receive the first two issues to begin your DeLorean Build for FREE with $1.99 shipping and handling. After you receive your introductory package, you will receive 4 new issues containing parts and magazines every month to continue building your DeLorean. You will automatically be charged only $10.90 per issue. Shipping and handling is only $1.95 per issue. You will also receive 3 fantastic free gifts during your subscription. © Eaglemoss 2019- All rights reserved.